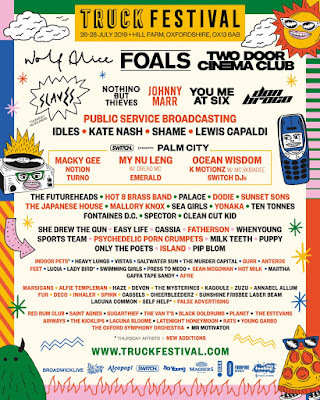 Other artists added to the line-up include youtuber and singer-songwriter Dodiewhose debut album charted top five this year and who has already sold out venues such as The Roundhouse. The Japanese House, the solo project of Amber Bain who released her electronica-infused pop debut album this year via The 1975’s label Dirty Hit, rock act Mallory Knox and indie pop band Anteros. Once again this year Hill Farm is very excited to welcome back The Oxford Symphony Orchestra who are always a highlight and have become somewhat of a resident band at Truck with their classical versions of well-loved tracks showcasing the best of local talent. 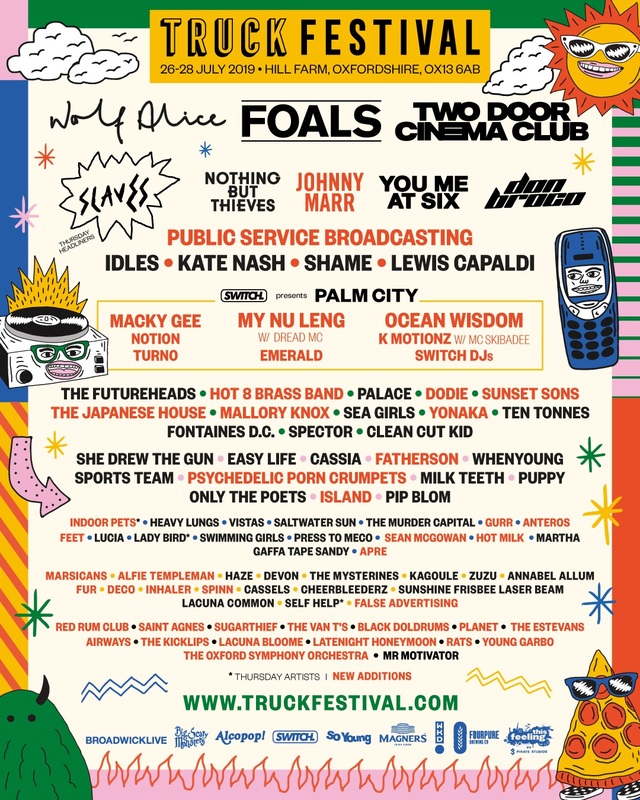 Truck Festival has also teamed up with local party starters SWITCH to announce the line-up for dance tent Palm City; which includes Macky Gee, Notion, Turno, MY NU LENG, Emerald, Ocean Wisdom, K Motionz w/ MC Skibadee, Switch DJ’s and the billing for This Feeling x Pirate Studios Stage which consists of Red Rum Club, Saint Agnes, Sugarthief, The Van T's, Black Doldrums, The Estevans, Getrz, The Kicklips, Lacuna Bloome, Latenight Honeymoon, Vida, RATS and Young Garbo. Festival organiser Matt Harrap commented, “We’re incredibly excited to finally share a huge wave of artists to our bumper Truck Festival 2019 line-up! Indie royalty Johnny Marr will be making his first trip to Hill Farm, with a setlist full of iconic Smiths’ material and awesome solo work, it is truly amazing to have one of music’s all-time greats to Hill Farm. I can’t wait for Public Service Broadcasting to close the Market Stage on Friday night - they’ve always delivered a mind-blowing show and to have them back for the third time this year is going to be awesome!